Compare standard and express courier prices to Australia from UK - Expert and reliable courier companies! Compare courier prices and rates to Australia from the UK. 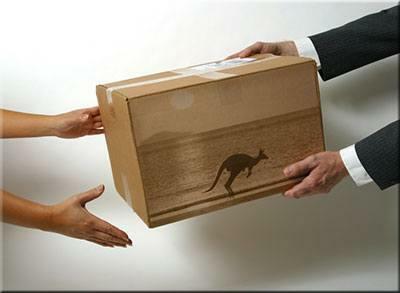 Check what options you have to deliver a package, boxes, baggage or even small furniture to OZ. We offer daily collection and weekly delivery. It is free to use and with no obligation. Just get in touch with us. We will do the rest. Email us our use our online questionnaire. It is simple and straightforward to use. Give us two minutes of your time and we will do the rest. Contact us today and enjoy our free, comfortable and outstanding international courier service. Compare courier companies at your convenience. With us you can find a affordable courier to deliver a package, luggage, boxes even to ship furniture from the UK. We also collect from anywhere in the UK. What's more we serve 80 countries around the world. With us the whole process is easy, simple, and above all much affordable than using traditional courier companies. Contact us for your free courier parcel, excess baggage or boxes courier services costs. Compare our rates with DHL, FedEx or USP to find out who is more competitive. If you are looking for a really low-rates courier service and you do not mind 12 weeks door to door carriage time we can arrange your items to be delivered in a container by sea. You may do not know but most removal firms work very closely with international courier firms. Why? As you probably know most couriers use the air freight forwarders to speed up the carriage. Unfortunately such a service is quite expensive. From our experience we know that most people immigrating to Australia take the most important items with them on the plain as a hand baggage. For that reason they do not care how long it will take to deliver the other items they want to take with them. What they care about is affordable courier service to Australia to save as much money as possible. So, the removal firms always struggle to utilise the space in the container to the maximum. That's why they work with overseas courier companies which specialize in smaller loads. Your boxes, parcels or luggage are the perfect goods to fill up the container to the last cubic feet. Because the carriage time is much longer about 12 weeks such a courier service is much more economical. You also share the space in the container with many other people exporting packages which make it even more affordable. All you need is to use our online form and provide your contact details. At this stage you do not need to sign any contract with a courier company, pay for the service in cash to the courier, or declare the exact number of items to get attractive price. Provide us with your overseas courier service requirements and your price request will be automatically added to our system. Within 24 hours we will email you the most competitive at given time and the quickest courier solution we have found. If you have we the quote simply let us know you would like to go ahead and we will take care of everything. The courier will show up at the address you specify. If you want to know the price of courier delivery service, click on "moving quote" and use the online form. It would be good if you could provide at least approximate number of boxes, baggage and furniture items. If we could get some dimensions that would be great. Based on the measurements we can estimate the cubic volume and provide the exact price. If you need your goods to be delivered by a courier to Australia as quick as possible in the fastest possible way we can offer the standard air courier service. If you want to find and compare courier companies to get the most attractive courier costs contact us today. Let us prove what we can do. There is no commitment in using our service once you have compared the couriers. Although pricing of the courier services overseas is dependent on a specific company, it is our privilege to choose the one we want. A multiplicity of carriers operating in the courier sector allows us to shop around and choose from 100 of options. For that reason you should take some time to get the best deal. 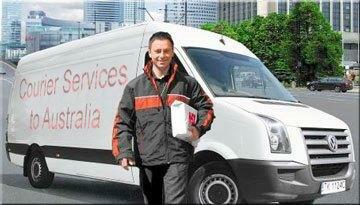 The most common courier services to Australia are standard, express or next day delivery. Besides, you can calculate and check courier price including the insurance package. When checking courier prices on the internet be sure to check the figures are in GBP and not in U.S. dollars or Euro. Courier companies operating in the European Union, as a rule, provide price lists mainly in Euros. In that's the case, every time you want to accept the offer, you should calculate the price based on the current exchange rate (visit the following page if you are interested in most economical way of transferring money to Australia). To make sure what the rates are, it is good to ask the courier, if your calculations are correct. On average, prices for the standard courier service are calculated by weight category up to 10kg and up to 30kg. 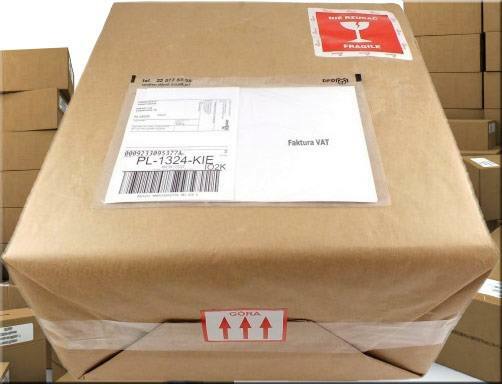 Normal package should reach the final destination up to 7 working days. Lowest prices oscillate between £ 25 - £35 for up to 10kg and £35 - £65 for 150 kg. However the express courier service to Australia by air is even more expensive. Additional fee is charged to speed up the delivery about £50 / £60, but the shipment arrives in less than 3 days. "For three years I was a nurse in Perth and often asked my family to deliver me books or other things that I could not buy on the spot. I was always getting a low price and a good service. There is no courier companies, that form time to time lose a package, however moving to Australia has always provided a great courier service. Within a few minutes they were able to explain what had happened to my parcel. I would add that each package have always reached me and I am very grateful about that fact. I will never change them to another company! " "I have been always very satisfied with your 27/7 courier services to Australia from the UK. A few years ago my wife have emigrated to Australia to work and it's very important for our family to have have a reliable and checked courier. So far, we tested a number of parcel delivery companies, but none was as quick, good and easy as you guys here. Your quick response, good customer service, no complications and high insurance make that with full responsibility I can recommend you to my friends. " "For one year my son have been studying in Australia and you are the only courier contact to we have used to send books, clothes and other items he had asked for. Thanks to you, I can very quickly and easily book a courier and deliver to my son a quick parcel. I'm quite an old man and the computer is something I keep away from. using the other courier sites I had a lot of problems with placing an order, I had to print some documents and some forms were illegible and unclear. Here I have done everything myself and did not need any help. Highly recommended! "